Travel Tips (Part 1) - Googly Gooey Style! 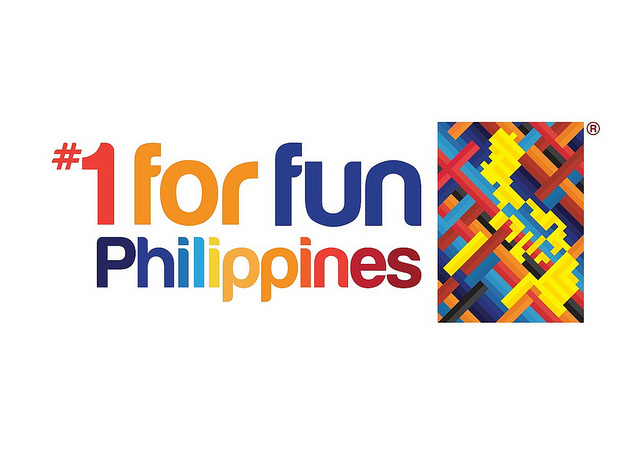 It is indeed more fun in the Philippines and there is no better way to support that than traveling around the country. Start here in Metro Manila, where there are a lot of hidden gems! 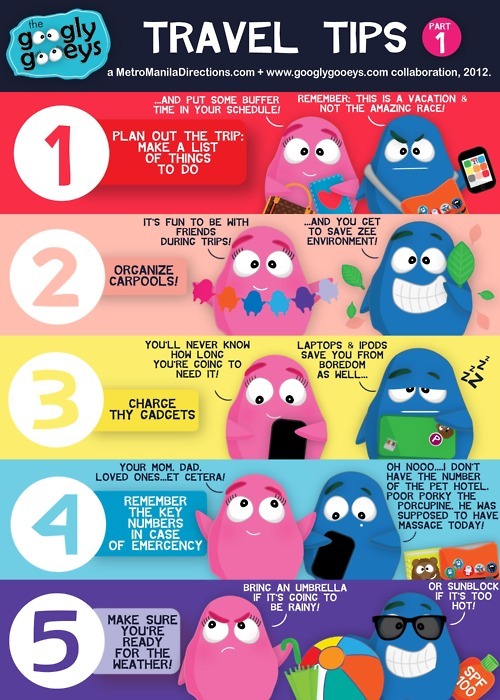 But before that, here are some tips to make your traveling fun and hassle-free, illustrated by the awesome couple Ponggo and Tipsy at Googlygooeys.com! 1. Plan out your trip, make a list of things to do. 5. Make sure you're ready for the weather. Oh by the way, speaking of hidden gems, well, our friends at Googly Gooeys recently bagged the Hidden Gem award in the recent Nuffnang Asia Pacific Blog Awards. Make sure that you check out their awesome illustrations at GooglyGooeys.com. Follow them on twitter and like their Fan page to get more updates! 27 Responses to "Travel Tips (Part 1) - Googly Gooey Style!" Very useful stuff, thanks for sharing. Consider the time how long you will be there in writing it down. Of course you don't wanna go nuts doing many things in short period of time, there would be no enjoyment of that's so. Make sure everyone is responsible to be on time and meeting place. It's better to allot buffer time if any delay might happen. Do not use them often to get entertain. Look around the road, talk with your friend is a good way to save your gadget's battery life. It's ideal to have written copy in your wallet. We cannot rely on digital items we have all the time. Yeah, better check the weather in your destination before traveling. Always plan your trips.. but sometimes it is more fun doing trips out of the blue. Nice informative article, learnt a lot for it. I too have some solutions for sports lovers. If you are facing any trouble of streaming the matches the you can get the SportsHD Live Sports site of NHL & MLB.